Pet Health Advice and Pet Tips by Pet Expert Wendy Nan Rees: Next Paradigm in Holistic Pet Care: Amazing Results From Whole Food Products'. Next Paradigm in Holistic Pet Care: Amazing Results From Whole Food Products'. Russell Louie, Owner: Optimum Choices, LLC was on our show recently talking about the 'Next Paradigm in Holistic Pet Care: Amazing Results From Whole Food Products'. Here is some information from our interview! “I have studied holistic health and spirituality for over 30 years and lived a holistic lifestyle for over 56 years. My education includes a degree in geophysical engineering and I am a Certified Reiki Master. 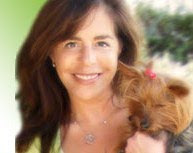 I specialize in integrating my scientific background with my knowledge of holistic health to create wellness programs that promote optimum health for both people and pets. My greatest talent is being able to cut through all the marketing hype using my scientific background to tell people what is truly holistic. Most of my holistic knowledge about pets has come about through my experiences with our own pets and a desire to have our pets live to be 15-20 years old and still being healthy like pets used to 50 years ago. OK, you mentioned whole food products in your topic for today’s show. What is a whole food product? A whole food product contains not only the active ingredients but also all the complementary nutrients, buffer ingredients, amino acids, enzymes, vitamins and minerals Nature dictated are needed to make the active ingredient work. These complementary ingredients are usually included in the peel, pulp and juice if the product is from a fruit or vegetable, all of the body if it is from an animal or fish or the entire organism if it is from algae. This is different than a supplement or drug, which usually contains high concentrations of just the active ingredients. Supplements are usually extracts or concentrates of the whole food source they come from. Why is a whole food product better than a supplement? Glucosamine has side effects of increased blood sugar disorders, increased yeast-overgrowth (Candida infections) and liver toxicity. Long-term research shows colostrums could increase reproductive organ cancer. Any other reasons why a whole food product is better than a supplement? Let me give you a simple example to illustrate the difference between a supplements and whole food nutrition. Europeans in the 17th century avoided scurvy when crossing the Atlantic by drinking fresh lime juice loaded with Vitamin C. What is not commonly known is that by just taking a Vitamin C supplement (pure ascorbic acid) one could temporarily stop the symptoms of scurvy but the disease would come back once the Vitamin C supplement was stopped. But by taking Vitamin C made from an extract of whole green peppers, not only did the symptoms go away but the scurvy was cured. Vitamin C works better when all the ingredients (e.g., rutin, bioflavonoids, zinc, selenium, Vitamin E) that Nature put in whole foods are included. Holistic options should activate the body’s own natural ability to heal and not make the patient dependent on supplements forever. So it seems supplements are really good at taking care of symptoms but whole food products are better at healing the body from within and eliminating the disease condition forever. If a whole food product does not contain a high concentrations of active ingredients, can it be potent enough to help my cat with, say Chronic Renal failure (CRF)? Absolutely, Wendy. Let me share with you our experiences with our last three cats that all had Chronic Renal Failure. Our first two cats died of Chronic Renal Failure (CRF) were all feed dry kibble and vaccinated just about every year. When they both died at age 17, my wife recognized that this was no coincidence, so she started to research why. That’s when we learned dry kibble was not a very good diet for cats. We highly suggest your home-cooked meals or even better a raw food diet for these obligate carnivores. When we got a third cat, we were determined to extend its longevity beyond 17 years and not have to cope with CRF. Our third cat was transitioned from dry kibble at age 15 to a raw food diet. She lived to be 19 years old without contracting CRF. That’s great, Russell, but where does the whole food products you are talking about fit in? Connie had severe arthritis that was affecting her quality of life. So, we tried to improve her life with Metacam, a drug for severe arthritis. Unfortunately, Connie was in the 30% of cats that have a bad reaction to the drug. She went into acute kidney failure and spent 4 days in the hospital. When she came home, she had Chronic Renal Failure with only 50% of her kidney function left. We kept Connie on her raw food diet and added a whole food product to nutritionally improve her CRF condition. The two most important nutrients for CRF cats are antioxidants and Omega 3 oil. Connie lived to be about 23 years old with her severe arthritis, CRF and hyperthyroid condition. We declined all the other drugs for arthritis and hyperthyroidism, the radiation treatment and surgery for her thyroid and she lived a good quality of life for her remaining 4 years. So, even with CRF, arthritis and hyperthyroidism you were able to decline the drugs and a multitude of supplements and use a single whole food product? Yes, that’s right Wendy. We saved money, simplified our lives and in turn, gave our cat a better quality of life until the very end at 23 years old. By the way, Connie passed away peacefully in my hands in about a two hour time period. I also attribute this to the whole super food product we were giving her. That’s a great example Russell. But can a whole food product help a pet in more critical condition than CRF? Let me give you a rather extreme example. Dogs are very prone to a particularly deadly disease called IMHA, which stands for Immune Mediated Hemolytic Anemia. According to the Morris Animal Foundation, 50% of dogs die within two weeks of diagnoses and the mortality rate is up to 80%. With IMHA the body is not manufacturing new red blood cells at the bone marrow level and its immune system has gone awry and it is actually destroying the remaining good red blood cells. We used this same whole food product that we gave our cat with CRF, to nutritionally help dogs with this deadly IMHA disease. And what success have you had? We have handled over 67 cases since 2003 and at least 40% of the dogs are still alive today. I say minimum of 40% because not all owners get back to us after their dogs are back to being healthy again. You see, most people still treat whole food products just like supplements. When the symptoms go away, they stop giving the product, either to save money or because they don’t think the product is needed any more. I suspect a number of the remaining 60% of dogs are still alive and our success rate is well over 50%. Compare that to the allopathic mortality rate what is as high as 80%. Isn’t that being a little short sighted? From our holistic perspective, yes we seem to have two types of customers: ones that wait for symptoms to show up before taking actions and ones that wait for symptoms blow up before taking action. When symptoms blow up, this quite often leads to expensive diagnostic tests and treatment. We believe preventative holistic measures, such as your home-made meals and adding whole super food products, are more than worth the price when compared to allopathic treatments. Some allopathic diagnostics can cost $1-2,000 and some therapies can run $2-4,000 (especially for cancer). Our goal at Optimum Choices is to educate people to not even wait for symptoms to show up before taking preventative action. We want your pets to live to be a healthy 15-20 years old and still be relatively healthy. OK, so we have heard how a whole food product can help a chronic condition such as CRF in cats and an acute condition such as IMHA in dogs. What if no specific veterinary diagnosis can be made? That is the benefit of using a whole food product versus a supplement or a drug. Because whole food products nutritionally help the WHOLE body, one doesn’t need a specific diagnosis to tell what gland, organ of part of the body is out of balance. Let me tell you about two cases where the pets were actually dying and no diagnosis could be determined. One cat was brought to the vet hospital that had not eaten in 4 days. All lab tests and blood work were negative. Further examination found absolutely nothing wrong with the cat but it was still dying. We suggested to the vet take our whole food product, BioPreparation mix it in water and squirt it into the cat’s mouth. The cat started to eat and drink a little by the end of the day. By the next day the cat was eating normally and totally recovered. The vet never figured out what was wrong with the cat but the owner was very thankful that we had literally saved his cat’s life. So, even with all the expensive diagnostic tests, the vet could not determine why the cat was dying and could therefore not prescribe a specific drug. But remember, a whole food product does not address specific symptoms so we did not need an official diagnosis. The whole food product activated the cat’s own natural ability to heal. That’s truly amazing. Have any more good stories? One 2 year old cat stopped producing red blood cells and was dying but did not test positive for leukemia. After several vets examined the cat, none could diagnose the cause. So, again we suggest the simple approach of just giving the cat a whole food product and not targeting any one symptom with a drug or supplement. Within 24 hours the cat was eating something and by the end of 48 hours the cat was back on the raw food diet it was used to eating. Interestingly enough, the cat’s owner is an animal communicator. The cat told the communicator that the cause of his life-threatening problem was his weak intestinal cells which had gotten clogged and could no longer absorb nutrients and release wastes. When he eats BioPreparation daily, normal cell function returns. This super food product feeds the weak cells and supports their healthy function. As a result, the cat efficiently digests and absorbs nutrients from his food and can build rich and vibrant blood! Now don’t get me wrong Wendy. I am not advocating not going to a vet when a pet gets sick, I am just pointing out there are holistic alternatives, even when a pet is dying and the vets cannot even determine the cause. You mentioned the high cost of cancer treatment earlier. Have you ever used a whole food product on cancer in pets? Yes we have. There was a rescued dog with a mast cell tumor on its paw. The executive director told the vet to surgically remove as much of the tumor as possible but preserve all the digits on the paw. She knew it would be very difficult to find a home for a three legged dog if they had to amputate the paw. Since the rescue organization could not afford the radiation treatment or chemotherapy prescribed, she came to Optimum Choices asking if we had any holistic means to help. We started this German shepherd mix on ½ capsules per day and worked up to 1.5 capsules per day. After ten weeks the mast cell tumor totally disappeared. Within one month of the final vet exam, certifying the tumor on the dog was gone and had not come back, it was adopted out. What a heartwarming story. Did the owner continue giving the whole food product? The vet told her Bear had a 5% chance of living 6 months after the surgery. The owner was so impressed with the results from using the whole food product, she signed up for our auto ship program and she faithfully gave Bear the BioPreparation every day since then. Bear lived 3 years and 8 months past the vet’s prognosis. After Bear passed away, she called to thank us for extending Bear’s life and giving them years of wonderful memories past the vet’s prognosis. Can you give me one more cancer story today? A 10 year old Cairn terrier was diagnosed with hemangiosarcoma and had surgery to remove the cancer tumor and spleen. He was given an estimate of 2-4 months to live (if lucky) after surgery. The owners gave him our whole food product and another immune system support product and that dog is still enjoying life now, more than 46 months (as of September 2008) after the surgery and still doing well. He has outlived the vet’s prognosis by over 10 times now. Wow, those truly are amazing stories. So whole food products can do amazing things and one does not necessarily need potent supplements or drugs to just take care of the symptoms? That is the new paradigm I am educating people about. The multi-million dollar supplement industry has done a great job telling us we need Product A with glucosamine, chondroitin sulfate and MSM for arthritis and their Product E with amylase, protease, lipase, pepsin, bromelain, etc. for digestion. But one wouldn’t use that arthritis product for digestion and vice versa. Isn’t that just treating the symptoms with a natural product? That is not truly holistic in my opinion. I prefer to use whole superfood products to wake up the body’s natural ability to heal and let the body’s natural processes take care of the symptoms. Now that is true holistic wellness. So my pets can be healthier while taking fewer supplements? I am sure you have already discussed the perils of feeding cheap dry food kibble on your show. I am going to suggest going a step further by adding a truly holistic, whole food product to their wonderfully cooked home diets, instead of a multitude of isolated supplements. One could potentially eliminate using Omega oils for their pet’s skin and coat, digestive enzymes, joint support supplements to increase flexibility, anti-inflammatory for pain, multivitamins and a whole shelf full of other supplements with just one whole super food product. Do not even wait for symptoms to show up before taking this preventative action and your pets WILL live to be a healthy 15-20 years old. You seem to have wealth of pet knowledge. How can we access more of your 56+ years of holistic wisdom? One way is to go to our website, www.OptimumChoices.com and sign up for our free monthly e-newsletters. We have written articles on such topics as, Is glucosamine the answer for arthritis? Healthy water for you and your pets and Whole Food Nutrition vs. Supplements All past articles are archived online and one can search for a specific topic. If your listeners will check the box at the bottom of the subscription form, we’ll send subscribers a free report entitled What Pet Food Companies Don’t Want You to Know. This report contains 11-points some of which we covered today. What other holistic resources do you have that would be have interest my listeners?